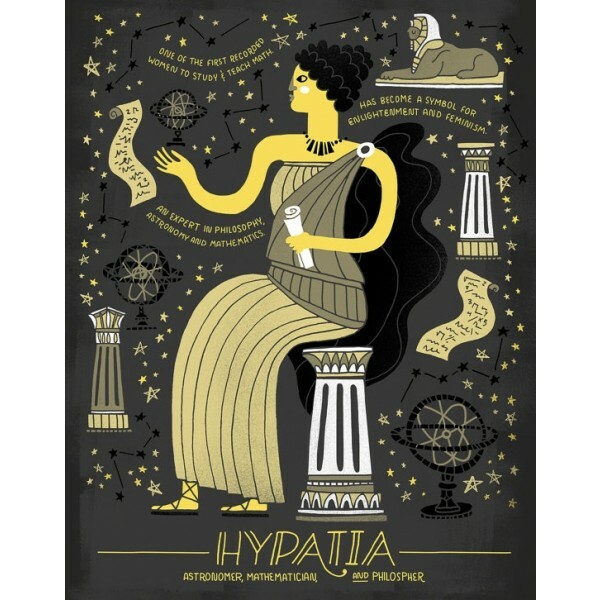 Hypatia was an astronomer, mathematician, and philosopher. She is one of the first recorded women to study and teach math. An expert in philosophy, astronomy and mathematics. She has become a symbol for enlightenment and feminism. This poster is available in both 8X10 and 11X14 sizes and is printed on high-quality paper with archival inks. 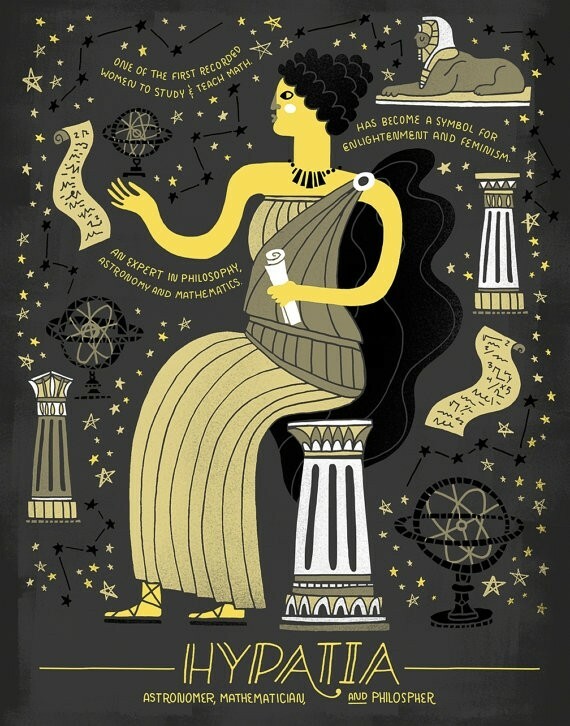 For more posters from the author/illustrator of Women in Science and Women in Sports, visit our Rachel Ignotofsky Collection.